Railway authorities announced on Friday a list of 31 people allegedly to have committed serious dishonest conducts while taking trains and said they will face punishments. The name list was published on the official train ticket booking website 12306.cn and credit score website creditchina.gov.cn, operated by the State Information Center under the National Development and Reform Commission. People named in the list can appeal in seven days. 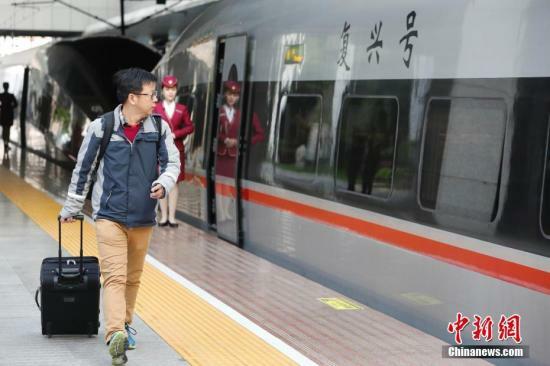 A regulation over restriction of discredited people from taking trains, rolled out by eight governmental agencies, including the National Development and Reform Commission, went effective on May 1. Accordingly, China Railway Corporation complied the list and said 21 were found of misconducts in the past month, mainly for smoking on the train and fare evasions. Another 10 people were facing criminal investigation as they scalped tickets, used fake documents to pay less fare, interrupted railway station order or other behaviors harmful to the security. Those discredited will be banned from buying train tickets for 180 days while fare dodgers need to make the payment. Railway authorities have also urged passengers to comply with laws and regulations on the train, be honest and mindful of their behaviors.